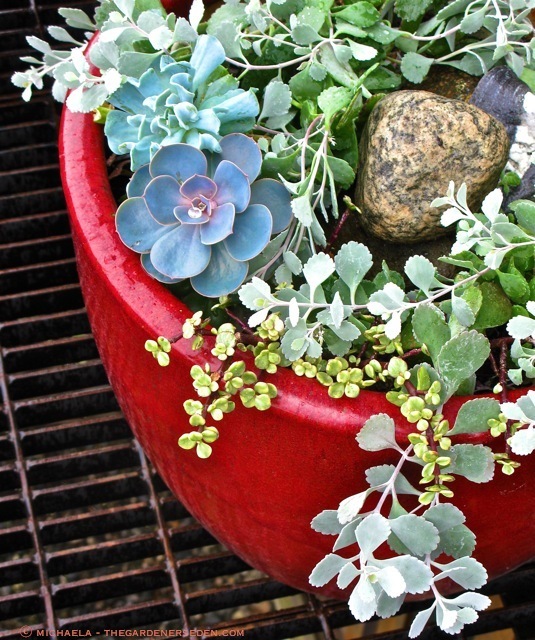 § 12 Responses to Un-Flower Pots: Designing & Caring for Spectacular Succulent Container Gardens"
I really enjoy reading about plants on your website. I also enjoy the beautiful images. Oh my GOD! I love this post. 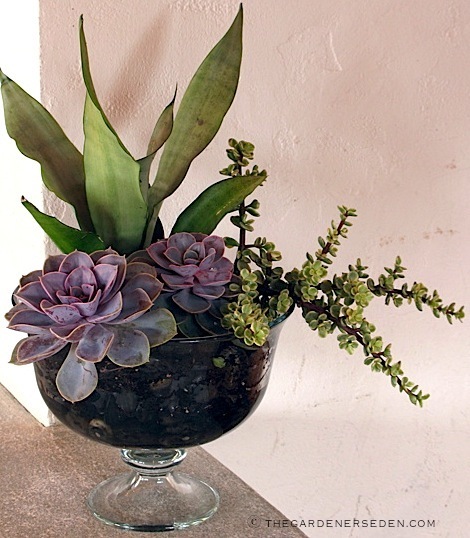 Thank you for the tutorial on succulent containers. I am so excited to experiment with a big pot of my own. 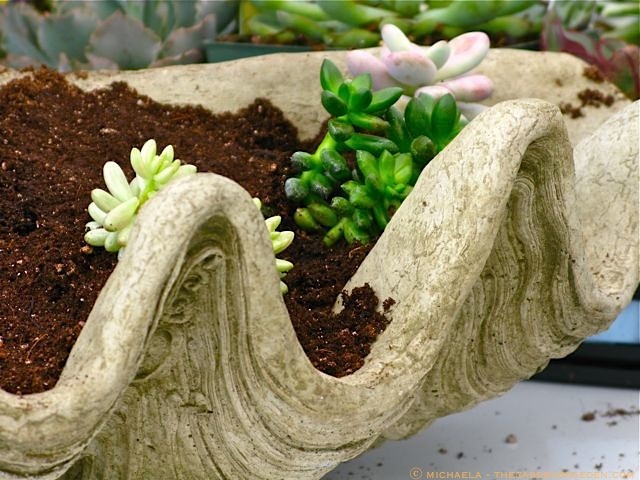 Do you think hypertufa containers are good for succulents? I’d love to see a post on that, Michaela. So sorry I missed that. Ten thousand thanks for the post. And thanks for your generous kind words. @ Virginia – Oh, I so wish that you’d been there. It would have been so lovely to see you! I can’t wait to see what you have fired up in your studio over the past few months. 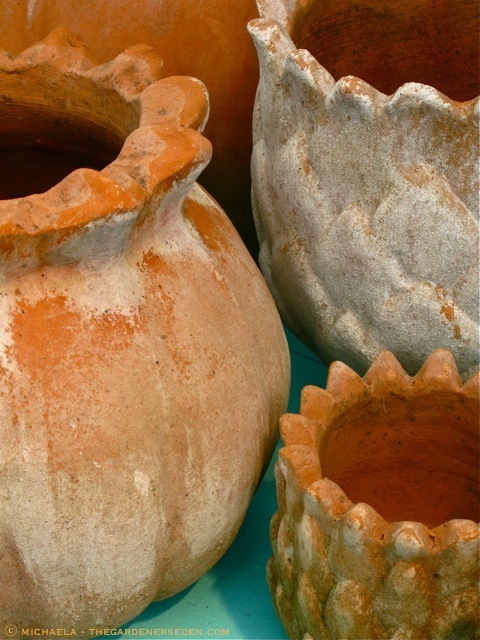 Your pots are just perfect for cacti and succulents. Do you have an email list for upcoming shows, Virginia? As you know, I feel a strong need to build a collection of crows. I see places for two more: I’ve found the perfect spot for them! Now, I just need to come up with some name(s) for my beautiful, ebony-colored friend(s). Hi Michaela, I was surprised to see you answering at this time of day. Bad weather down there this a.m.? 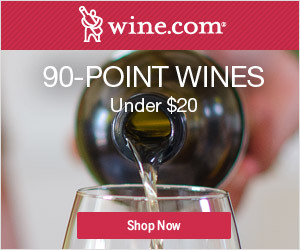 @ Deb – Hello friend! We have beautiful weather. I’m off work today and in my garden. Hard to believe but my veggie garden is one of the few places where I get consistent iPhone reception. Maybe because I am close to the satellite dish. 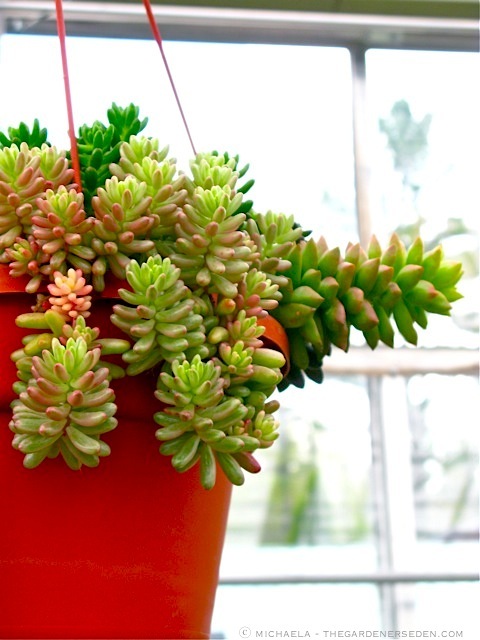 Anyway, to your question: How do you know if a succulent is hardy. If it’s untagged —with no species and cultivar name— then it might be hard to know. If it does have the species and cultivar listed, I would simply Google the name. Many will turn up at Dave’s Garden site, which is user edited and pretty reliable in terms of plant information. Some listed as “hardy” are only safe to 20 degrees F, or so. I leave those out longer toward the end of the season (almost ’til Christmas). 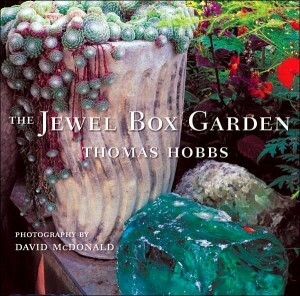 If you find a sempervivum, sedum, yucca, etc. 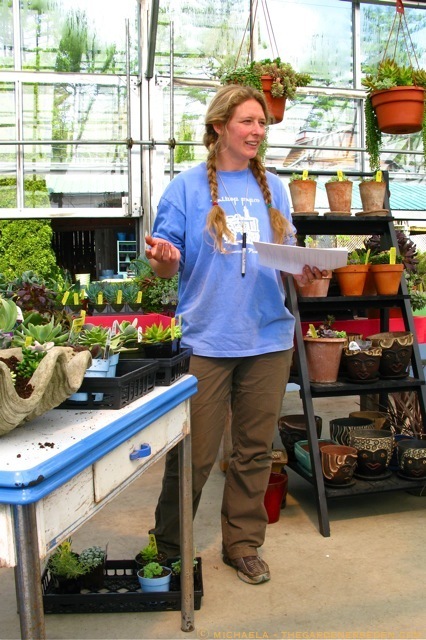 at your local garden center in the perennial section, then I’d say that is a good indicator that the plant is hardy. If it’s something in your house, and you don’t know what it is, then I wouldn’t bring it outside. One option (if you can propagate it) is to bring a small bit outside and see how it fares. 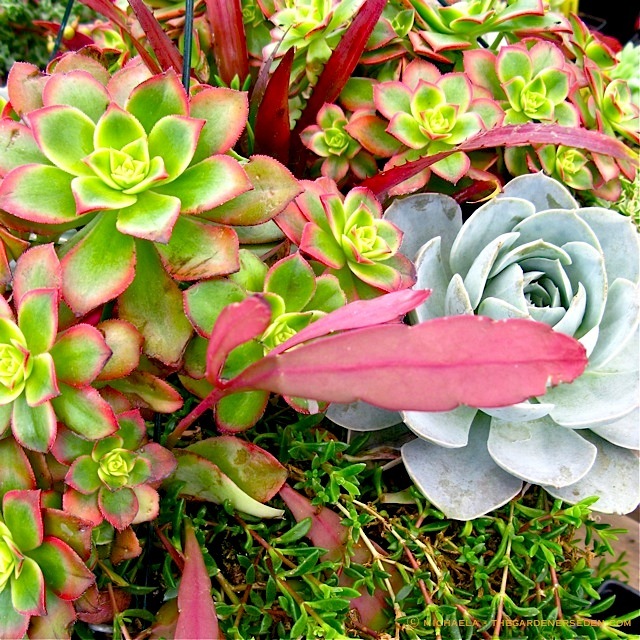 I’ll be writing more on hardy succulents for cold climates (to be left outdoors) soon. 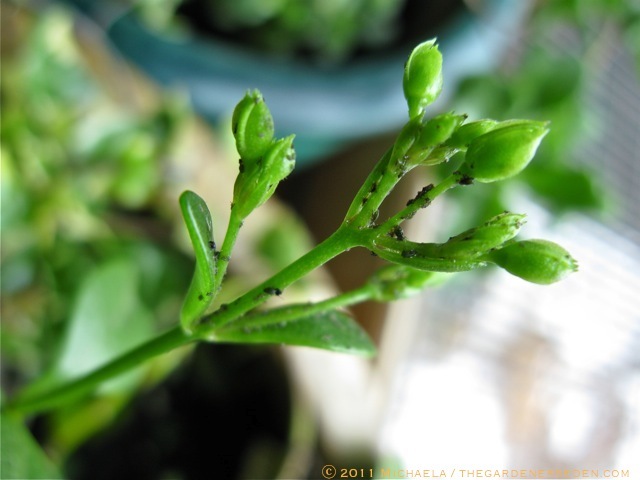 This post was geared more toward the tender species, which I bring inside during cold weather. Perfect timing! 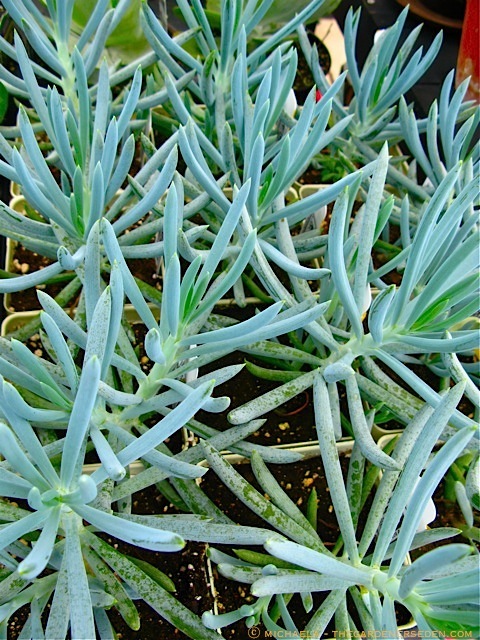 I just purchased a handfull of succulents to use on my antique plant stand this year. 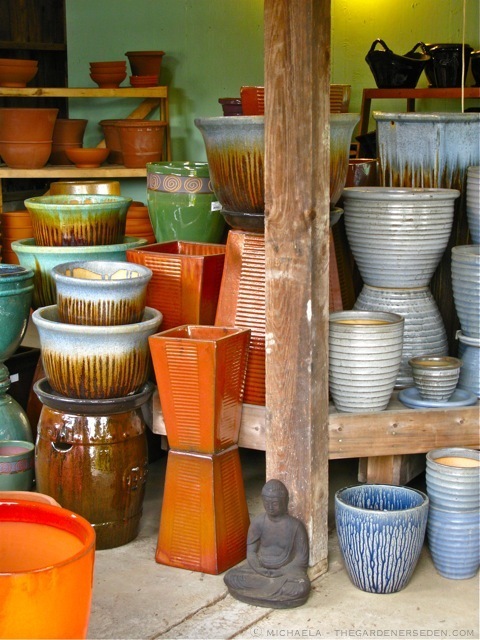 The stand has 12 arms to hold pots, I purchased 12 pottery cereal bowls in 5 bright colors, drilled holes in the bottom. And tomorrow I start potting them up. I do plan on keeping them in a sunny window during our zone 3 winter. I love your blog, it’s one of the few I consistantly read, and can relate to. Although I do wish I had access to some of the places like Walker’s Farm. @ Jenny – Great! 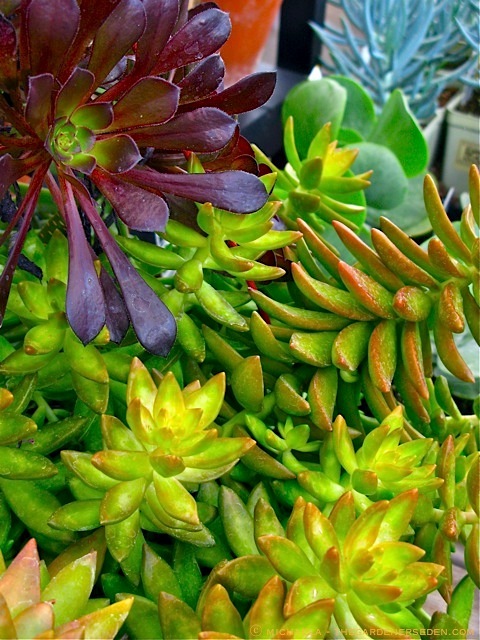 I absolutely love seeing outrageous succulents paired unexpectedly. An antique plant stands seems like the perfect set for a sensational summertime show. 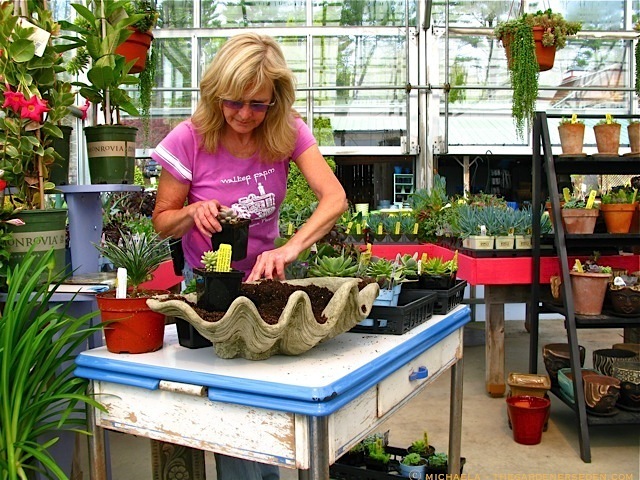 Thank you for sharing the fun of gardening. I so appreciate the time you took to comment, and for your generous and kind words. Hi! First time visitor! Wonderful post. You give some wonder advice and ideas! I did want to let you know that in your paragraph regarding the books you said Debra Lee Miller instead of Baldwin. Just a heads up! Thank you so much for showing us this great place and the super photos! 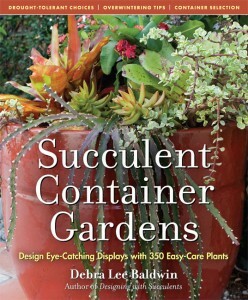 You are currently reading Un-Flower Pots: Designing & Caring for Spectacular Succulent Container Gardens at The Gardener's Eden.